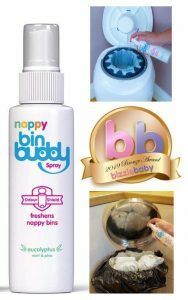 Need to spray away smelly nappies? Worried about leaving the environment not smelling so fresh? Award-Winning Nappy Bin Buddy Spray uniquely eliminates odours and eucalyptus, mint & pine is a natural anti-fungal!